Comments: Resembling a lotus flower before it opens, the brilliant yellow of the Chinese yellow banana is its most outstanding trait. 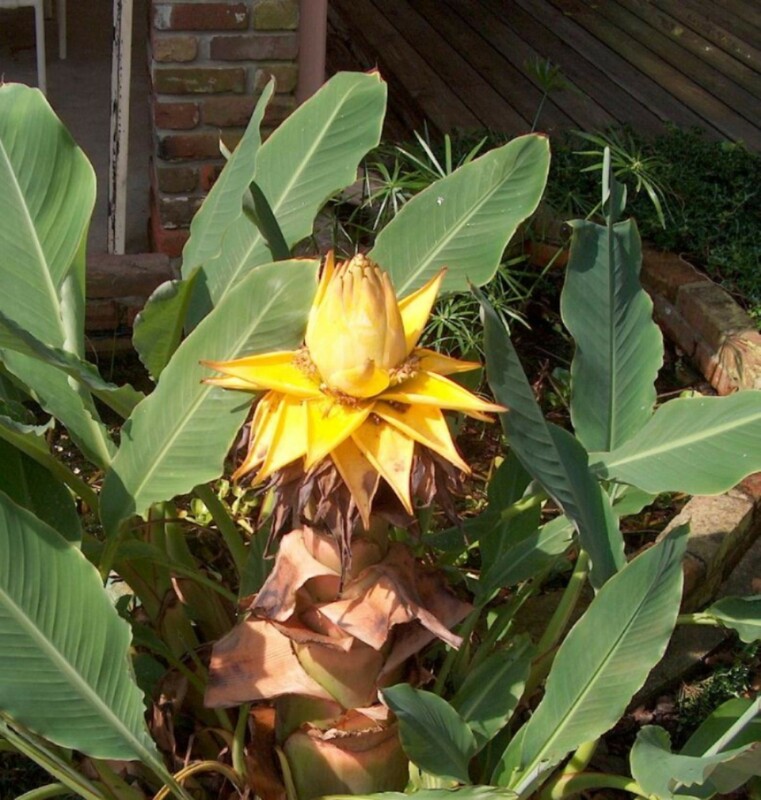 A dwarf relative of the banana, it flowers after it has been planted for a minimum of two years. Flowering occurs over an extended period of time, often for two months or more. Fruiting is not common.